Steven (Chicagoland, United States) on 5 December 2013 in Landscape & Rural and Portfolio. 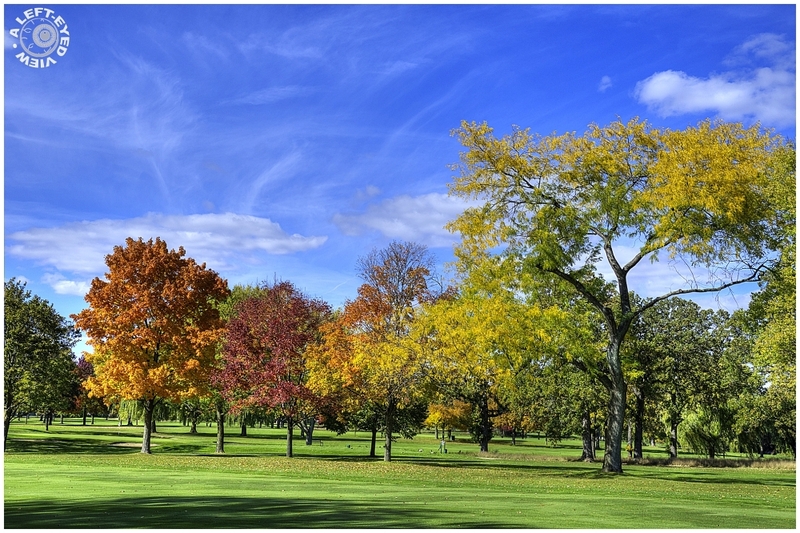 View of the fall colors seen along the first fairway of Glen Flora Country Club in Waukegan, Illinois. Photo captured October 7, 2012. The clouds are mimic the shapes of the trees. If put the picture upside down you' ll see it (maybe only me). Love it. Beautiful colours, looks more like summer than autumn. Wonderful mix of autumn hues - and I like the clarity and perspective. The colors of the leaves are so beautiful, wonderful autumn photo!! Stunning scene with excellent color. A perfect autumn day, bright sky, light and colors! What a gorgeous view! The colors are beautiful! A wonderful autumn image! I believe you must get some wonderful sunny days there like we have in Saskatchewan. A wonderful scene with magnificent autumnal colors and a beautiful sky ... Superb image !!! That is a lovely collection of colours. Just very beautiful with all the trees and the autumn colors! Beautifully captured! Such a beautiful photo for the colors. A very bright and cheerful scene ... love the mixture of colors. Each has its own color ! Fantastic trees ! Pretty scene !! Wonderfully composed, the clarity and definition are superb !! Lovely, amazing and vivid colors ! Gorgeous work !! Lovely colors against the blue sky. Beautiful sky and nice mild fall colors.